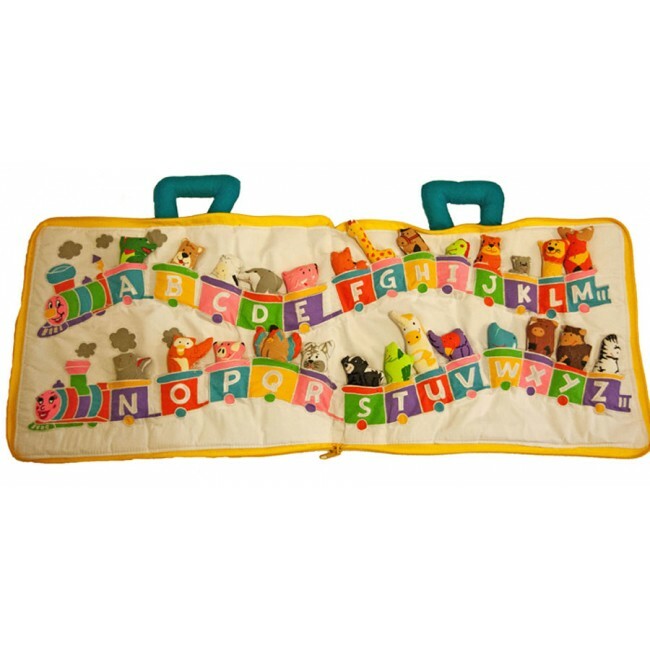 A unique alphabet train that opens like a book consisting of 26 beautifully embroidered animal pieces each with its own pocket or carriage in the train. 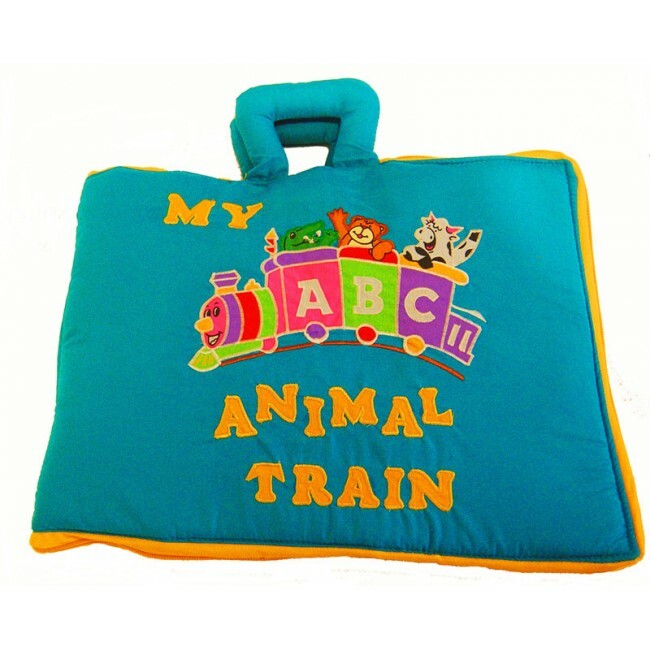 Younger children can simply enjoy the fun train, the pockets and the cheerful animals while older children will find stimulation in matching each animal to the corresponding letters of the train. 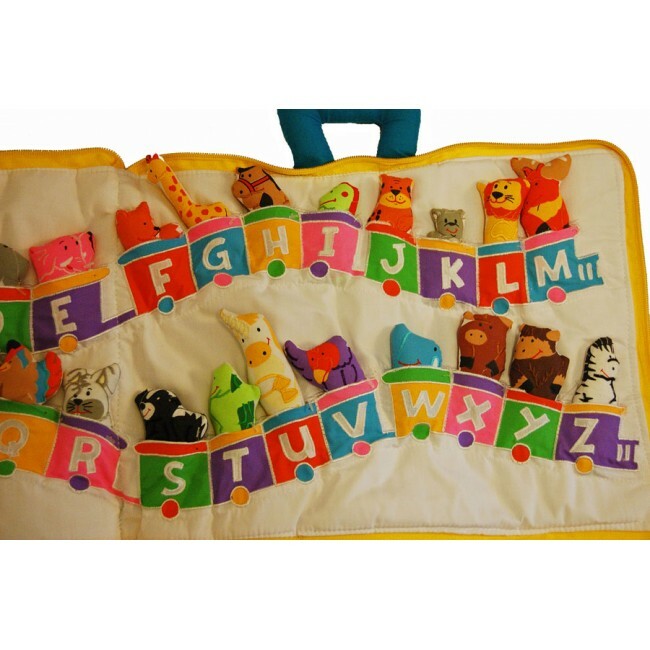 It is a great addition to a child's learning of the alphabet and early recognition of letters, letter sounds and corresponding words, leading to first reading skills. This book is great for carrying on journeys; all the animals being kept safely in place with a zipped fastening. Each animal is attached to its' pocket by a plastic tie that can be removed and disposed of safely.